The purpose of OB Puppy is to boot with Openbox directly instead of downloading, installing and customizing it, which takes some time. It is an OpenBox Puppy to boot & go. Apart from adding OpenboxPlus, Lxterminal and Frugal Installer, I haven't done many changes to the original Slacko, as it's actually an up-to-date puppy made from Woof-CE. Note that Slacko 5.6.5.6 is a development build, a beta of future Slacko 5.7, it is convenient to report bugs to this thread instead so that they get fixed for Slacko 5.7 final. Also note that some of the existing langpacks already support Openbox, Lxpanel and the Puppy tools added to OB Puppy. However, you may still need the .mo file for certain applications, for example Lxterminal (Slacko-based OB Puppy) or ROXTerm (Precise-, Raring-based OB Puppy) to see it in your language. OB Puppy has Openbox and Lxpanel, maintaining ROX-Filer, it isn't inteded to include PCManFM. For those who'd like a puppy with full LXDE (PCManFM included), here is Lxpup. 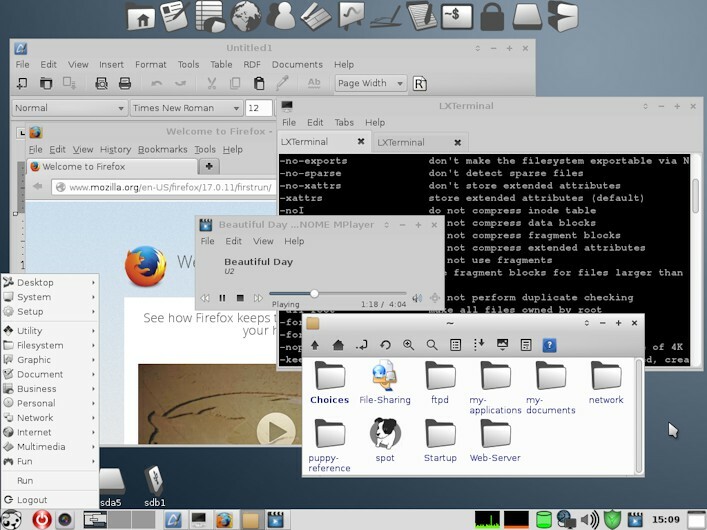 - The default GTK theme "hides" the icons of welcome1stboot, it may be one of the style sheets from the theme folder. - Slacko-based OB Puppy: switching to JWM you get tray apps duplicated, I made symlinks to /root/Startup because they didn't appear in Lxpanel but I didn't realize there were also symlinks at /root/.config/autostart, which is recognized by JWM but not by Lxpanel. As this puppy was specifically made for use under Openbox, I think it isn't a major problem, especially considering that there will be a new version after Slacko 5.7 is released. Be aware that Upup Raring 3992 has some ACPI issues with at least the ASUS 1000HE / 1000HEB laptops (the difference AFAIK is the 'B' on the label) -- it will not properly shut down or suspend, which (if you are running a full install) WILL corrupt the FS; took about three days for me nuked a flash drive, too (thank heavens I had good backups of that!). I'm now on XSlacko, which is based on Slacko 5.6 -- you might try that as a base for your next OBpup, vic, since it (at least the XSlacko variant) boots to GUI on even super-tricky Poulsbo hardware (there's a little bit of fussing, but that's all -- you have to manually run xorgwizard and tell it to use 'modesetting' aka 'kms' driver). Thanks for the information, Starhawk. Then Slacko 5.6 is next. Yes, these days many people have their preferences depending on what they use and how, building several spins and letting users choose the ones that suits best their needs seems to be the best solution at the moment. I started with Raring simply because it was greengeek's suggestion, I usually boot Precise. Hi vicmz, this is nice, I'm having all kinds of fun with it. I don't think I've ever used Raring before, flies on here, Thinkpad T61, and I'd forgotten what a pleasure it is to use Seamonkey. I'm not a heavy user by any means but I like things to work and so far everything just works! I like things to work and so far everything just works! For that part you should thank the developers, they are the ones that make Puppy fly on almost any computer. Raring is one of Pemasu's puppies optimized for laptops. Great to see that the remaster went well and we have another pup to choose from. I think there's a problem with the default zoncolorDaylight gtk2 theme - this shows itself if you try to type a password into Frisbee as it gets corrupted and rejected. Error messages from Frisbee run in a terminal are shown in the attached screenie. 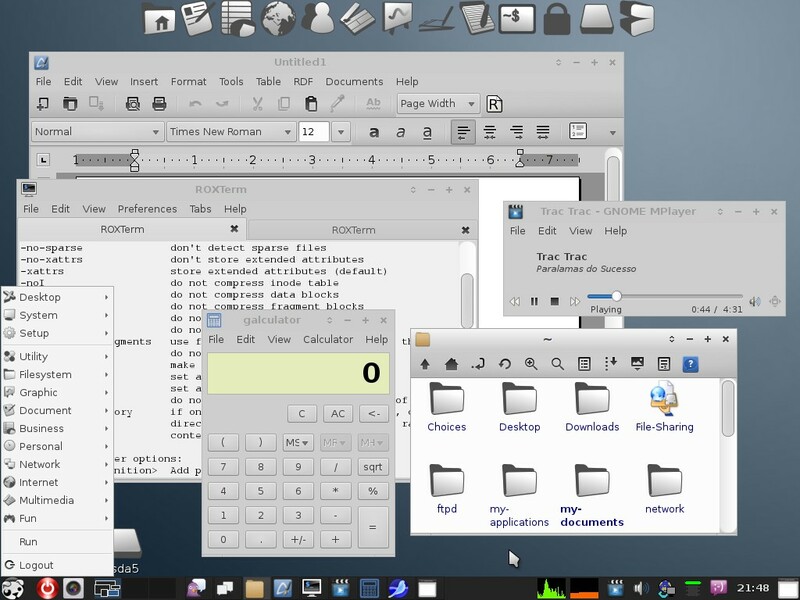 If you change the gtk2 theme then the problem goes away. Then if a simple change of gtk theme solves it, I'd rather wait until there are enough new program versions/improvements before making another ISO based on Raring. For new remasters I decided to change themes until I can fix that thing. Meanwhile, my Slacko 5.6 remaster gives an error of main sfs not found at boot. I checked the DISTRO_SPECS file of both the main puppy.sfs and the initrd.gz, they seem to be OK. I haven't tried other puppies yet, so I'll see what ISO gets ready first (likely Precise). Looks really nice, almost crunchy I must say. Keep going with it. OB Puppy S56 is available. Precise-based OB Puppy coming soon. OB Puppy P571 now available. See first post for details. It seems some of the packages I added make the ISO a little bigger, I may leave out the bigger ones. Your projects are looking good, and I encourage you to continue if you can spare the time. I've had to scale back on my projects due to more hours of working, time spent with my family, other projects, etc. I will send you a PM shortly. OB Puppy S5656 now available, see the first post. Thank you, keep it up please. I'm glad that your sound card works. However, OB Puppy S5656 is a remaster of Slacko 5.6.5.6, so actually it works thanks to 01micko & co.
for them to get fixed for Slacko 5.7 final. Please read the Known Issues in the first post, they're important although they don't seem to be relevant to the purpose of this remaster (to boot with Openbox directly instead of downloading, installing and customizing it).